The head of the United Nations mission in Colombia will on Thursday present a report to the Security Council In New York detailing the alarming increase in assassinations of former FARC combatants. Ex-combatants of the Marxist-inspired FARC have been systematically targeted since they downed weapons as part of a historic peace deal with the government in 2016 and Jean Arnault is set to reveal a damning report to UN authorities highlighting the situation. 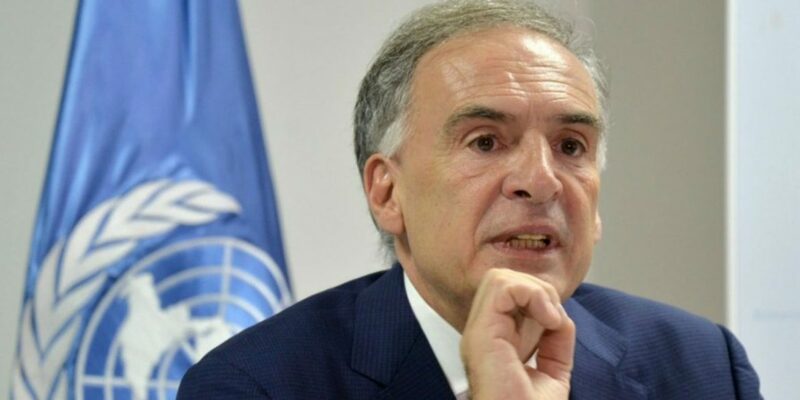 In an interview with W Radio, Arnault revealed that the document warns that the efforts by the administration of President Juan Manuel Santos to protect demobilized rebels have been insufficient as both sides seek to implement the terms of the peace accord. The instability of Colombia’s government to protect the demobilized guerrillas has led to an upsurge in violence reminiscent of what was seen in the late 1980s and early 1990s against the Patriotic Union. When the FARC tried to enter politics after a deal with former President Belisario Betancur (Conservative Party) in 1985, paramilitary groups of a previous generation assassinated thousands of political activists. Now, the FARC’s abandoned criminal activity gives all illegal armed groups a motive as the disarmed guerrillas’ fighter units would know the exact locations of local drug trafficking routes and illegal mines. More than 311 social leaders have been assassinated by death squads and assassins since 2016, the year a peace process began with the FARC.